As you know, the new MOU scheduled to go into effect July 1, 2014 eliminates a previously available provision found in the 2012-2014 MOU Sick leave and Benefit and Eligibility section (3.4. B.5) that allowed unit members to sell back accrued vacation and sick leave. PLEA has obvious concerns and unit 4 members have also voiced concerns about the fairness of the removal of this provision from the contract. Our attorneys will be pursuing relief on behalf of unit 4 members through the litigation process and will be filing a lawsuit through the Superior Court as well as a request for a temporary restraining order (TRO). If the courts grant the TRO it will immediately prevent the city being able to implement the elimination of the sick leave vacation buyout benefit until such time as a final decision is rendered by the court. If the court does not grant the TRO, the elimination of this benefit will be triggered on July 1, 2014 when the new contract goes into effect. If this occurs, PLEA will still move forward with litigation in an attempt to get this benefit restored. PLEA has fielded numerous questions about the provision in the new 2014-2016 contract provision (MOU sec 2-4.B.4) that allows any unit 4 member with at least 1,286 or more hours of unused sick leave to sell back up to 150 hours/year for up to three years (non-pensionable). • E-Chris is presently being programmed by city IT to allow officers to perform this function through their individual E-Chris accounts. • The program will allow officers to “sell back” anywhere from 1-150 hours of unused sick leave. • Officers can only do one sell per year and therefore must carefully determine how much time they wish to sell. As an example: an officer accesses their E-Chris account and elects to sell 50 hours of sick leave. They cannot later go back into the system in the same one year period and sell an additional 100 hours of sick leave. The system is set up to accept only one “sell” per year regardless of the number of hours. • Once a sick leave sell is triggered the monies will be disbursed in the next available pay period. • As the system is currently structured, Officers can trigger sells between the months of July and March of every year. April, May and June will be locked out in order to minimize impact to the end of year budget cycle. 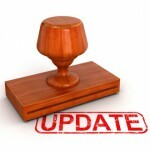 • City IT is working with an end goal of having this benefit available via E-Chris on July 1st however, the possibility exists that it may not be accessible till mid-July based on unforeseen technical / programing issues. If you have further questions please contact the PLEA office at 602-246-7869.